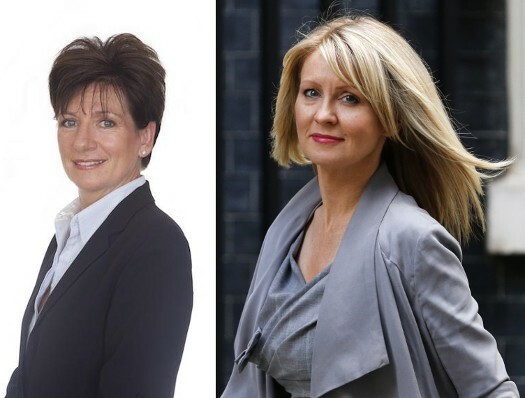 The British Gazette » Esther McVey or Diane James: Which of these two ladies will be the next member for Witney? Yesterday’s announcement by the Chameleon that he was quitting his seat in Oxfordshire came as a surprise to many. The Chameleon is now Her Majesty’s Crown Steward and Bailiff of the Manor of Northstead. For those wondering (which might include the Chameleon himself) just where the Manor of Northstead is, well, Peasholm Park and Scarborough Open Air Theatre in the beautiful North Riding of the County of York are now occupying the site of the former manor house and it’s demesne. Given that his seat was in Oxfordshire one may have expected him to seek the office of Crown Steward and Bailiff of the three Chiltern Hundreds of Stoke, Desborough and Burnham. That office however is held by a certain Mr Sadiq Khan following this gentleman’s election as Mayor of London in May 2016. Some Tories are already suggesting that Esther McVey the Member for Wirral West from 2010 until her defeat in 2015, and Minister of State for Employment from 2013 to 2015 should be selected. Given that she is an attractive lady and the Tories will be expecting Mrs Diane James to stand this is likely. We expect Mrs James to be elected as UKIP’s new leader. The opportunity of a by-election will be a difficult thing to resist. The British Gazette expects that Simon Strutt, UKIP’s candidate in the seat will be asked to step aside. The strategy for the Remainiacs (the Liberal Democrats) and the Remainians (Greens and Labour) is clear: they will have to ensure that the anti Brexit anti right wing vote is not split. The seat is normally rock solid Tory. However the three parties received a combined total of 16,969 votes. The Tories and UKIP received a combined total of 40,553 votes. Mrs James (or whoever winds the leadership contest) really has no choice but to stand in such a prominent by election. If the Labour Party, Liberal Democrats and Greens cannot agree on a common candidate, then we expect whoever is the Tories choice to be the new MP. If the three Europhile parties can agree on a single candidate then the most likely outcome is a Tory win, followed by a Europhile win followed by a UKIP win.